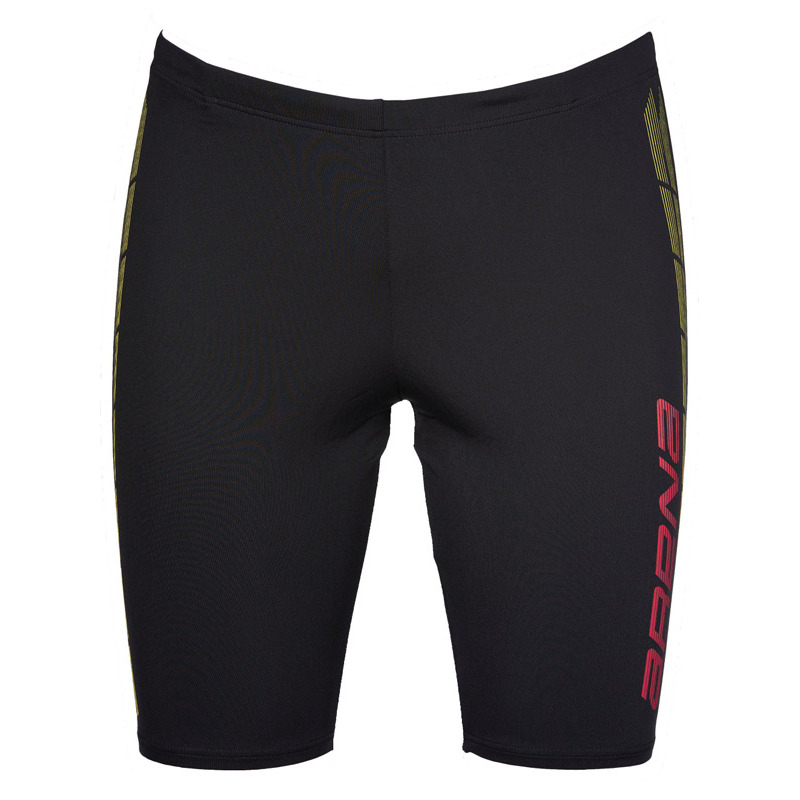 The Arena Magnus mens black jammers have subtle and stylish red and yellow detailing down the left thigh. This lifts them from being a plain black jammer without being too obvious. 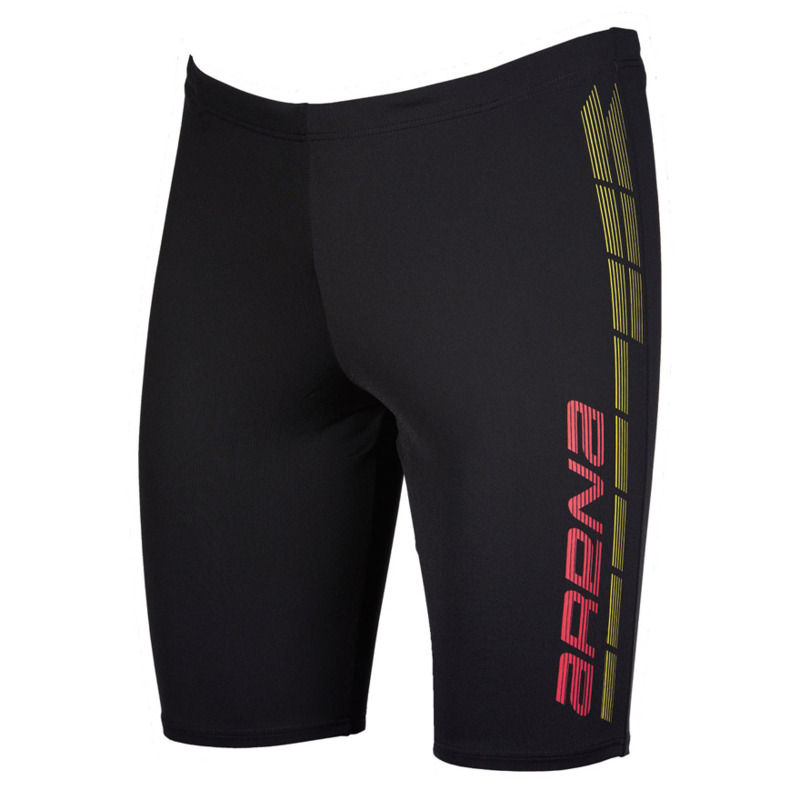 They are manufactured using Arena’s Max Life material for long lasting comfort, performance and fit. 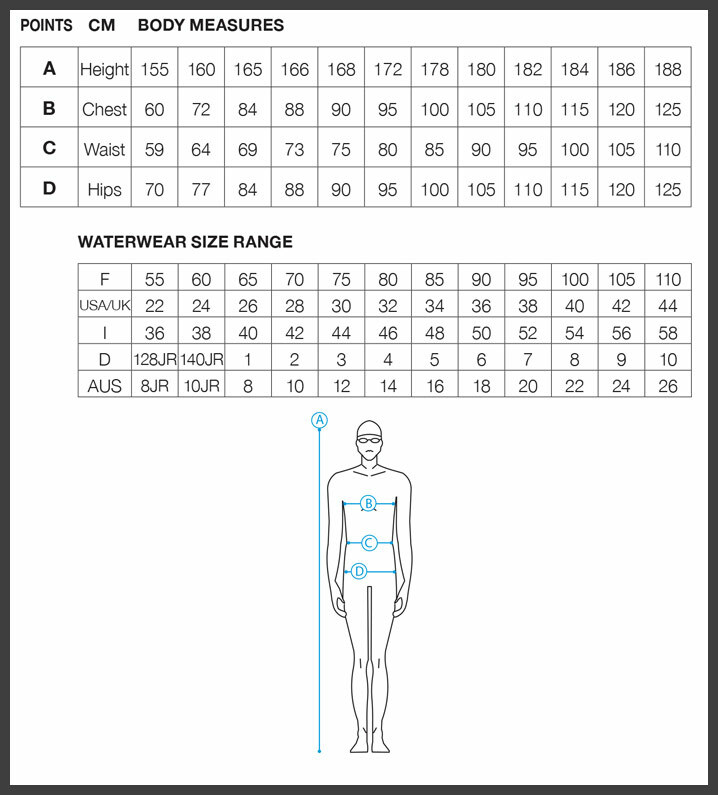 The 54% polyester 46% PBT mix resists abrasion and pilling as well as being chlorine and sunlight resistant.